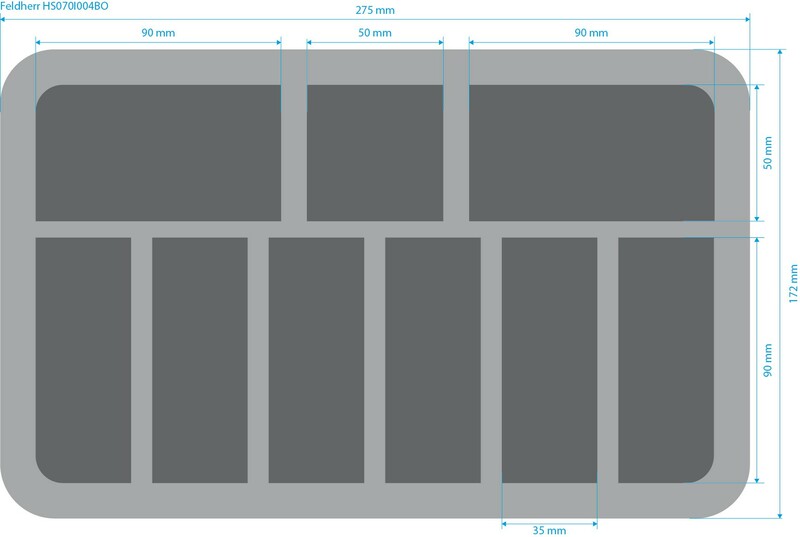 p>This Half-Size is divided into 9 different-sized compartments. It is ideally suited for taller and elongated tabletop and board game miniatures. 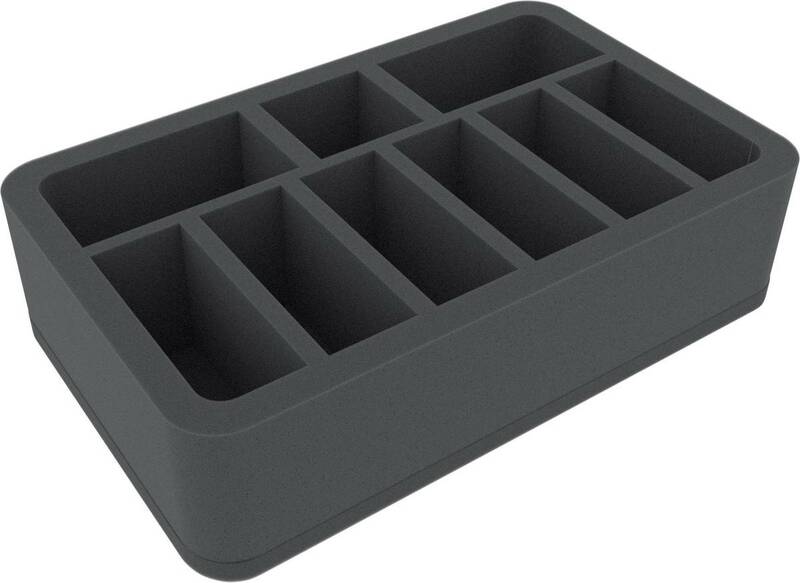 This foam tray has the dimensions: 275 mm x 172 mm x 70 mm total height (60 mm usable height + 10 mm foam base).